I was going through all of my beauty supplies last night, trying to weed out everything that's either expired or I never use (There is A LOT..trust me!). I still shock myself on how much I collect and never even open. It really is an addiction. Do they offer meetings for that? "Hi, My name is Trish, and I am a beauty product-aholic." 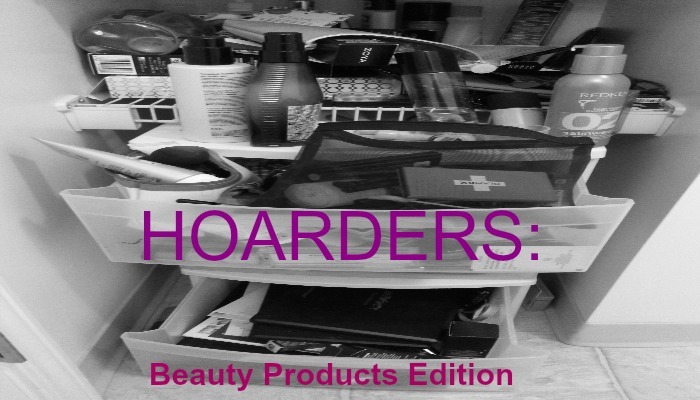 "Hoarders: Beauty Products Edition." Casting for this? Call me! Having an addiction of this interest can get quite pricey. I really have slowed down over the past year, then I started signing up for things and more stuff just kept on coming! I had 2 reasons for my mission last night. And trust me, going through my makeup alone is enough to make me want to pull out my hair. # 1. I needed to make some room for some of my new products that I really am using these days. I felt it was only fair they have a home other than sitting on my bathroom sink. I got everything in some form or organization and finally had room to add some new things. 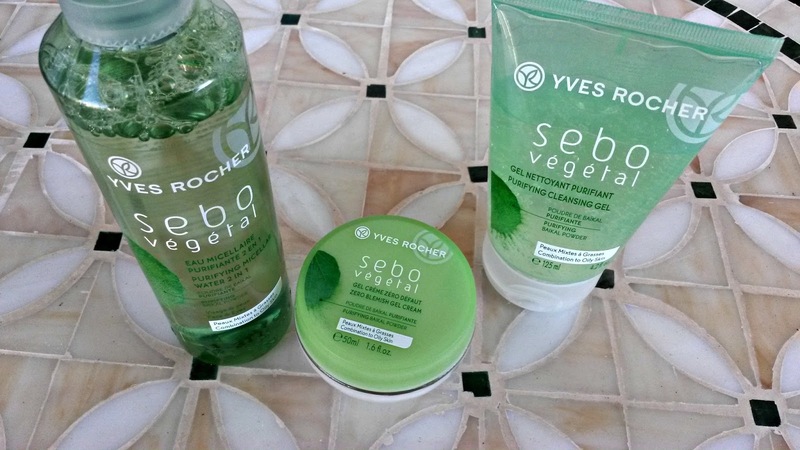 A few weeks ago I was sent a new skincare regimen from Yves Rocher to review for them. My skin is a hot mess lately. It has nothing to do with the products as it was a hot mess prior to their arrival. I have been using the products for a few weeks now and have noticed it does do wonders for my scaly dry skin in the morning that than normally morphs into a shine-tastic afternoon. It has been keeping my bipolar skin at bay without over irritating my already broken out face. I really do like these products and will most likely repurchase once these run out. They do make my skin feel really nice and I have experienced zero irritation or added breakouts. The products are paraben free (Yay!) as well as mineral oil free (Whatever that means. But I'm sure its bad for you!). They are also priced decently and the best part when it comes to cost is these products go a long way! Yay less buying, more usage!